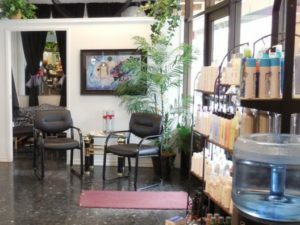 Sunflower Salon in Springfield offers a fun, comfortable atmosphere and provides spa-quality services at reasonable prices. Whether you’re looking for an outrageous change or a simple cleanup, our highly skilled professionals will tailor their fresh, cutting‑edge techniques to fit your style. Personal grooming doesn’t end with your visit. 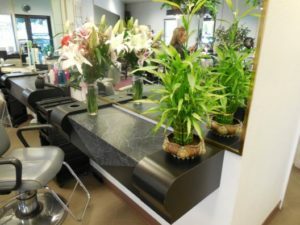 You’ll leave our salon with great ideas, professional products, and expert tips to maintain your look at home. We offer cut, color, and styling for men and women. Chemical services include: perms, weaving, hi-lights, lo-lights, relaxers, hi-definition color (blue, purples, etc) and deep conditioning treatments. We also do make-over consultations and “up do’s” for special events like proms, engagements, and weddings. Today’s brides have a myriad of options for their nuptial locks, but one thing remains true: your wedding is no time for a bad hair day. If you’re like most brides, you want your hair—along with everything else—to look and feel your best. In the whirlwind leading up to your wedding, don’t forget to plan some bridal pampering to ensure you look and feel your best on your big day, esthetics including, waxing, facials, skin care, back and neck treatments. We are specialize in nails and toes including pedicures,, manicures, nail art, artificial nails, including gels, and acrylics. To complete your look, we offer Ergoline and Pryzma tanning beds which are regarded as the best in the business. For your convenience we offer a variety of tanning packages. Whether it be a special event, vacation, or year round maintenance, we are here for you. Our goal is to make the world beautiful – one client at a time.